Global Gas began in December of 1989 during one of the industry’s worse supply crises, one that was experienced again in 2008 and 2014. Record low temperatures mixed with low inventories and a shortage of transportation left many retailers without propane. Global Gas did “whatever it took” to get each customer product, transporting propane from as far away as Kansas and Texas up to the Northeast. After 25+ years, we continue to do whatever it takes to supply our customers year round with the propane they need, when they need it. 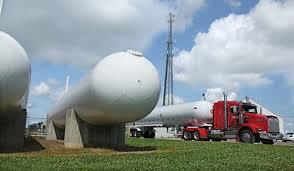 Global Gas is a “Turnkey” source for all your propane supply needs. We utilize our product sources at refineries, pipelines, fractionation plants, import terminals, railcar terminals and storage facilities to provide our customers with the most diversified product supply available. Once you decide on your supply plan, we arrange for transportation and work directly with you during the year to provide seamless supply all year long. We pride ourselves on providing a holistic approach when working with you, understanding that propane supply is only one of the critical areas in running a propane business. Our staff, with over 75 years of experience in wholesale and retail operations, stands ready to assist you with any of your propane needs.